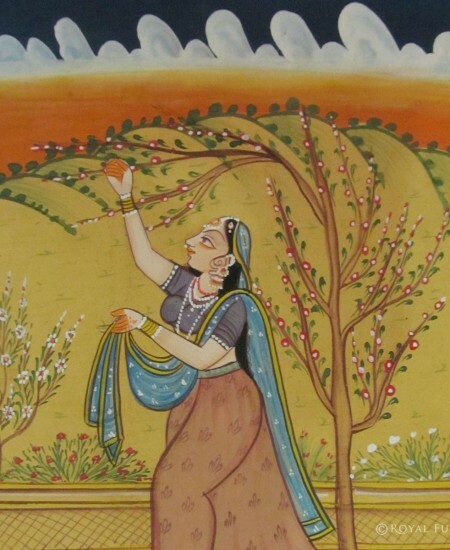 Story of Painting:- The painting represents lady love for her lover where a beautiful young women is standing near tree or playing with peacock or deer, plucking leaf from tree etc. and reminiscing the sweet memories of her lover. 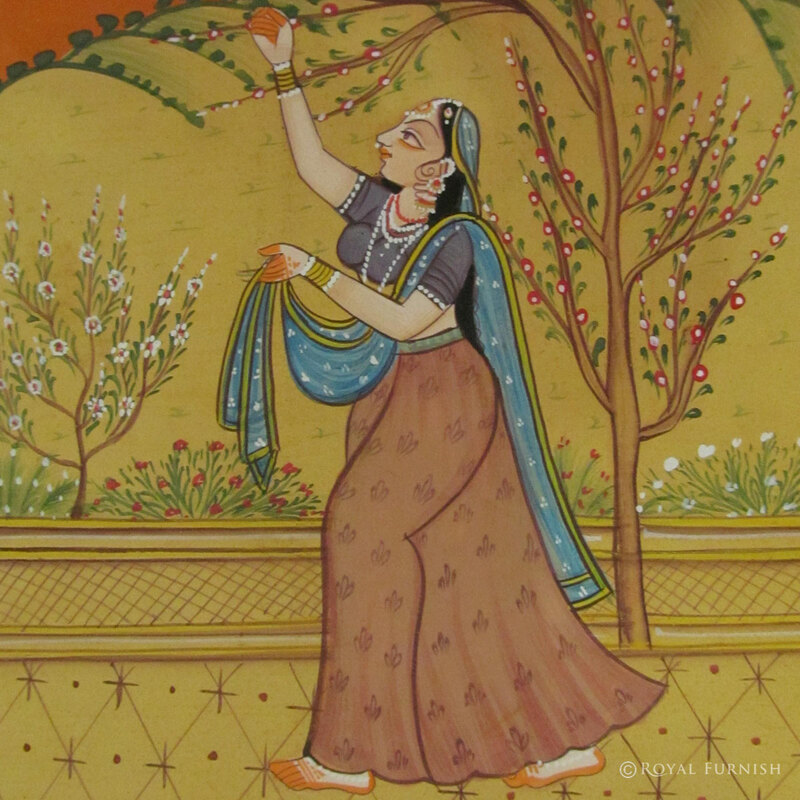 The painting depicts the moods of the love-lorn lady which is basically a classical depiction. 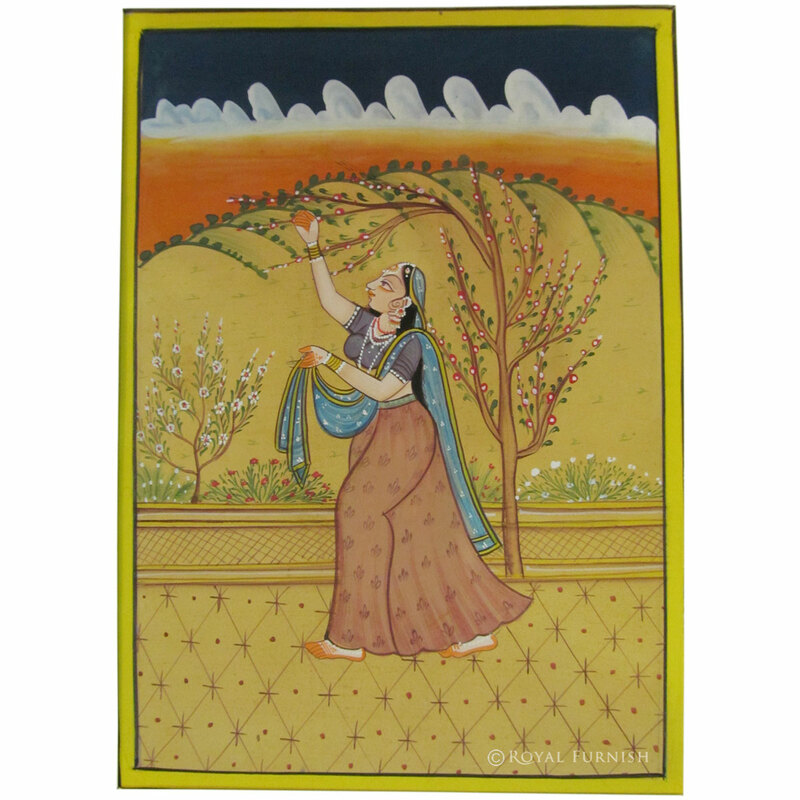 PAPER PAINTINGS OF RAJATHAN:-Paper paintings are miniature paintings made on very old or new handmade paper. 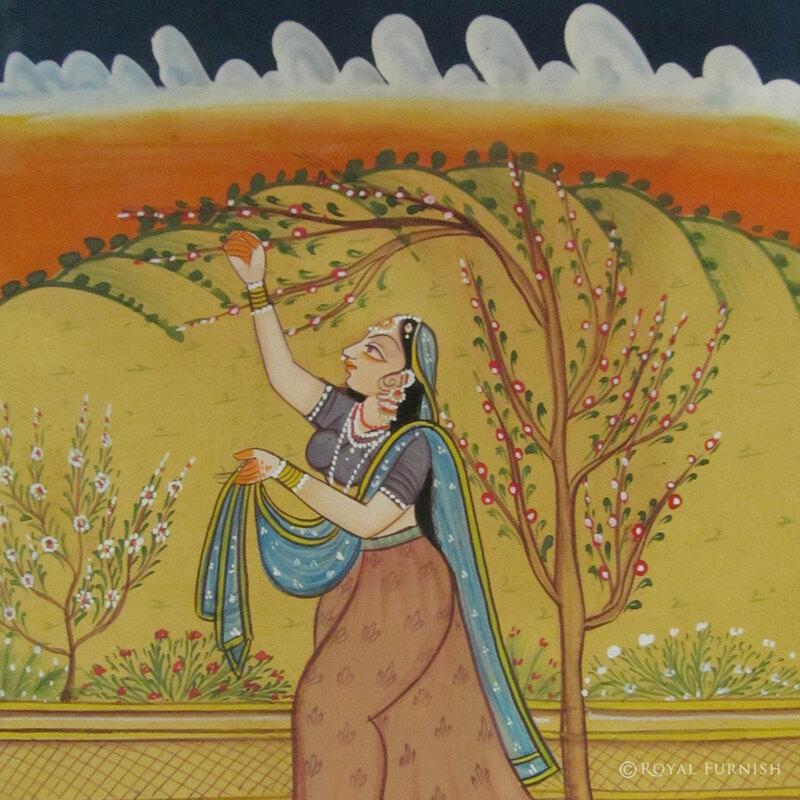 These paintings are of very fine quality and can be framed to decorate your home / office. 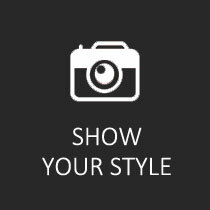 Make the paintings more elegant, We have used additional decorative tools like Gold foil embossing, Moti work, Golden border etc. 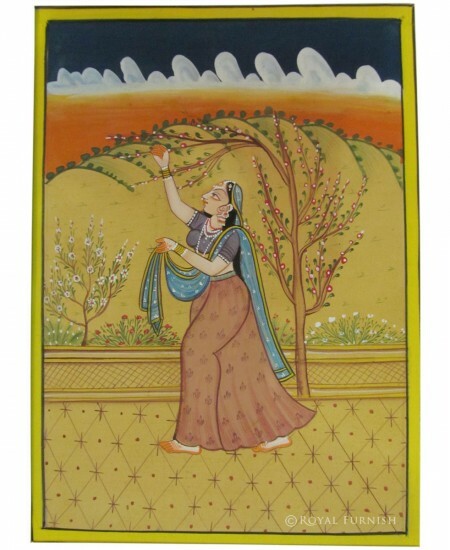 These paintings give elegant/traditional look to home & office interior. 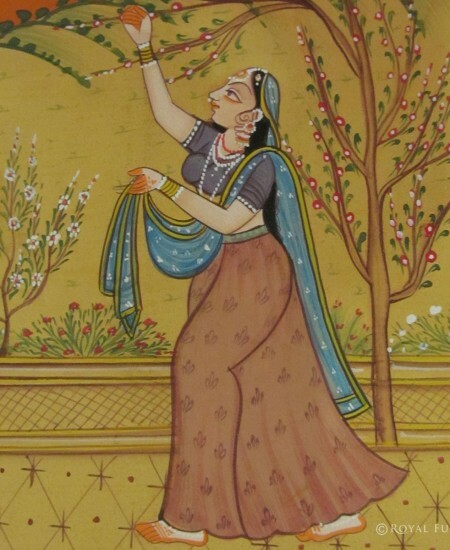 Rajasthan Radha Miniature Paper Painting added to the cart!